Welcome to Summer! With reports of heatwaves already sweeping the nation, chances are it'll be another brutally hot season. Depending on where you're located, you might already be experiencing daily highs in the mid to upper 90s or more, and as August swiftly approaches, these temperatures will only increase. Heat safety is a serious issue that deserves your attention. Practicing proper precautions could save your life. School's out for summer and you're ready to hit the open road. If you love big open spaces, you might not encounter a town or even another traveler for hours and sometimes even days, depending on how far off the beaten path you like to stray. Whether you're driving a few hundred miles or a few thousand, it always makes sense to prepare for the worst. While your chances of encountering a major disaster are small, there's nothing more detrimental than finding yourself inadequately underprepared. Check out our road trip safety blog for more information on preparing your car and yourself before hitting the road. In the comfort of your car's air conditioned interior, it's not uncommon to forget about the extreme temperatures roads can reach. The heat emitted from pavement can easily reach temperatures up to 150 F, and in many locations the night air isn't cool enough at night to provide relief. It might seem pretty obvious as you're reading it here, but bringing an adequate supply of water is often a forgotten piece of the puzzle for casual travelers. 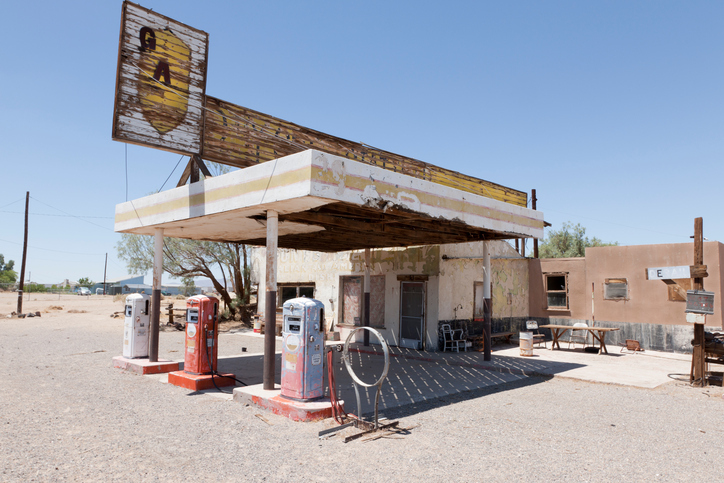 Whether you're taking the backroads or hitting the highway, many parts of the U.S. remain unpopulated. You may therefore be stranded many miles from anywhere, in the event of a car malfunction. If you're suddenly stranded, calling a tow truck or AAA will likely result in a fairly swift rescue taking no more than a few hours. But in extreme heat, it's minutes that count. When traveling, we always recommend bringing more water than you actually think you'll need. Keep a five-gallon water storage container such as this in your car, to drink from in case you're stuck waiting for a rescue. Remember that once you're thirsty you're already dehydrated, a condition that can quickly worsen in extreme heats, leading to heat stroke and death. It's never recommended that you leave your car, since you'll lose shelter and visibility. With adequate amounts of water, you can easily wait with your car for days, whereas an hour in the open could kill you. Don't leave your car unless you're able to carry twice the amount of water to get you to your destination on foot - and only if you know exactly where you're going. A dead battery in summer is more common than you might think. According to the Car Council, liquids inside the battery will actually evaporate in summer, causing your car's battery to lose juice. While no battery is intended to last forever, persistent heat could be shaving years off the life of your battery. If you live in the hotter parts of the country where temperatures commonly approach the 90s in the summer, you'll likely notice that you need to replace your battery more often than you thought. Heat can kill your battery within five years and even less, so we recommend that before hitting the road, you have your battery tested to ensure it's still capable. If you've had your battery for seven years or more, we recommend a test no matter where you reside. A local car shop or auto supplies store such as Auto Zone will do this for free. Most of us occasionally have our tires rotated and heed the advice of mechanics when it's time for a set of replacements, but more regular maintenance is another story. The condition of your tires plays a vital role in road safety, and this is even more true in extreme conditions such as heat. Because heat causes expansion, your tires will be more inflated in the summer than the winter. If you've ever taken your car skiing and not used speciality tires, you likely noticed a significant drop in tire pressure or were even been surprised by flat tires in the morning. The opposite is true for heat. It is estimated that for every 10-degree increase in temperature, your tire pressure will rise by one pound per square inch (PSI). That means you could add an additional 20 or more PSI to your tires on a very hot day. As you may have guessed, this can make a significant impact. ● Over-inflation can break apart rubber polymers, causing the tire to "pop"
Your initial reaction might be to simply let some air out of your tires. However, if you've been driving and your tire is hot, letting the air out could put you at risk of driving under-inflated. And an under-inflated tire is actually just as dangerous as an over-inflated one. That's because as more surface area meets the road, friction is greatly increased. This additional friction leads to heat, causing premature wear, tread separation and ultimately blowouts. Check your tire pressure each day before you hit the road, to ensure you maintain safe PSI ranges. While driving on under-inflated tires is never recommended, there is one exception. 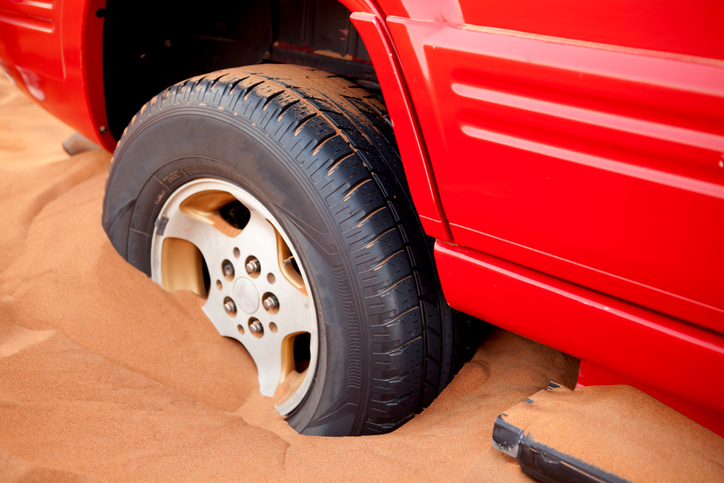 If you're stuck in sand and you tires are spinning out, let some air out to create more grip. Once you're free, drive slowly to the nearest station to fill back up. 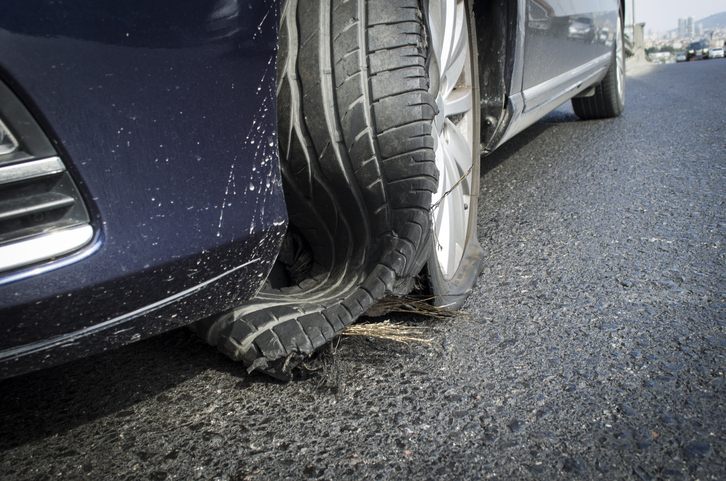 The rule of thumb for driving on under-inflated tires is to never exceed speeds of 45 mph. This will greatly reduce your risk of a blowout. As we already learned when discussing tires, heat causes things to expand. This includes the pavement used to build roads. While highly uncommon on major highways, road buckling does occur and has caused accidents. It's oftentimes difficult to identify road defects in advance, since refraction from heat waves can skew your view. Being aware of hazards is half the battle. As you drive off into the sunset, remind yourself that you could encounter any variety of road obstructions, from potholes to leaping animals. Always wear your seatbelt and drive the speed limit. 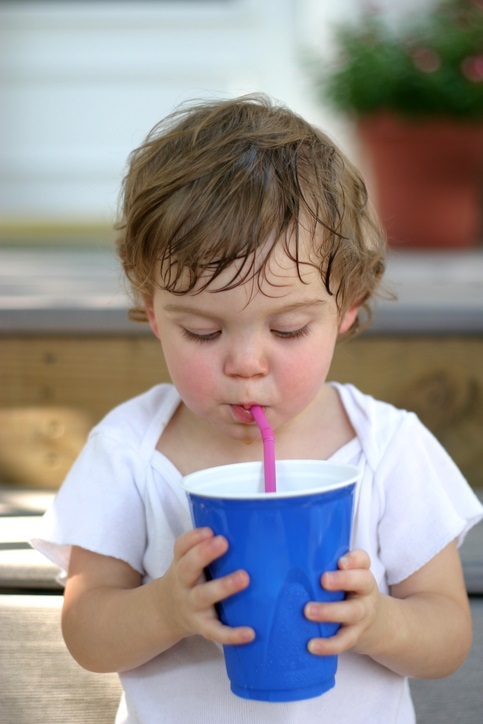 Anytime you're talking about heat safety, water should be at the top of the list. Water is your lifeline in any emergency. Without it, you cannot survive more than a few days, and even less when confronted with extreme temperatures. Just as with car travel, it's recommended that your hiking or camping trip be supplied with more water than you think you'll actually need. Running out of water in an emergency situation is detrimental. One five-gallon bucket makes an excellent backup for camping trips, and each hiker should carry at least 3 liters of water on an excursion. Carrying your water in a bag like the Camelbak provides an easy and comfortable solution. Whether it's a comfortable 70 degrees or a scorching 100 F, the rules of hiking remain the same: know your trail, carry a compass and never hike alone. From snakebites and bear attacks to losing your sense of direction, hiking is filled with dangers. But you can prepare to ensure your hike stays a rewarding adventure and doesn't end in disaster. First, never hike alone. In the event of an emergency such as an injury from a misstep or a fall, your hiking buddy could save your life. Secondly, get a hiking map and a compass - and learn how to use these. During the course of a hike through unmarked territory, it's surprisingly easy to get turned around and lose all sense of direction. If you need additional inspiration, we recommend reading this article about an adventurous woman who took on the Appalachian trail without a compass. Lastly, know your trail. Whether it’s your first time or you’ve hiked a particular area on previous occasions, knowing the hazards of the trail can mean the difference between a successful hike and a disaster experience. It's summer and it's dry, and when it rains, what would normally become a small puddle can turn into a torrential current. Even at low flow rates, water is capable of lifting away large objects such as cars and carrying them downstream. 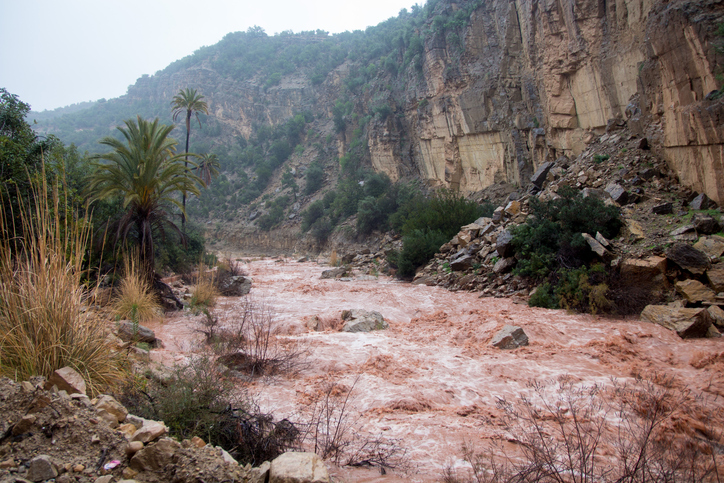 A flash flood will destroy everything in its path. Flash floods can occur anywhere, and are the result of poor drainage when it rains. If you're camping or hiking in an area where the soil is particularly dry and water can't readily seep in, you should be aware of flash floods. Flash floods can happen day or night and can surprise you if you aren't properly informed. As with anything else, it is possible to prepare for and avoid flash floods. First, understand that just because you're not in a rainy location doesn't mean you can't be affected by a flash flood. Water travels downward and accumulates at low elevations. When setting up camp, stay above water level and secure your site. 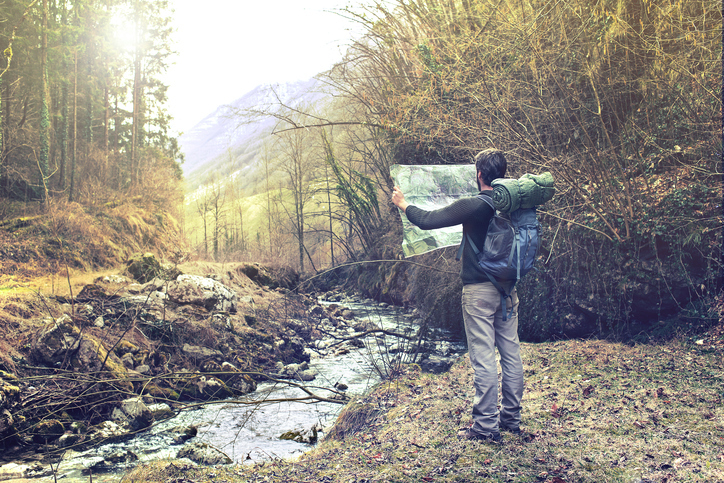 Knowing the topography of the region in which you're hiking or camping will help you to determine your escape route in the event of a flood. Discuss the escape route with your hiking or camping mates ahead of time. Don't rely on weather forecasts. Weather can change suddenly and quickly, particularly at higher elevations. Learn to identify clouds to identify the warning signs of impending rain before it's too late, and always stay away from any flooded areas. Most of us love our pets dearly and we inherently want to protect them. Your ability to do so adequately begins with information. While most animals can avoid overheating simply by not moving much throughout the day, your dog is your companion. He requires walks to relieve himself (and his boredom), accompanies you on car rides and provides emotional support in stressful situations. Whether your dog is a large component in your everyday life, or he's mostly asleep on the kitchen tile, he's susceptible to heat exhaustion and heat stroke just as much as you are. In fact, because dogs can't sweat, they're even more at risk than you are for overheating. This surprises most people, since the general school of thought about a dog's pant is that it’s comparable to a human's sweat. 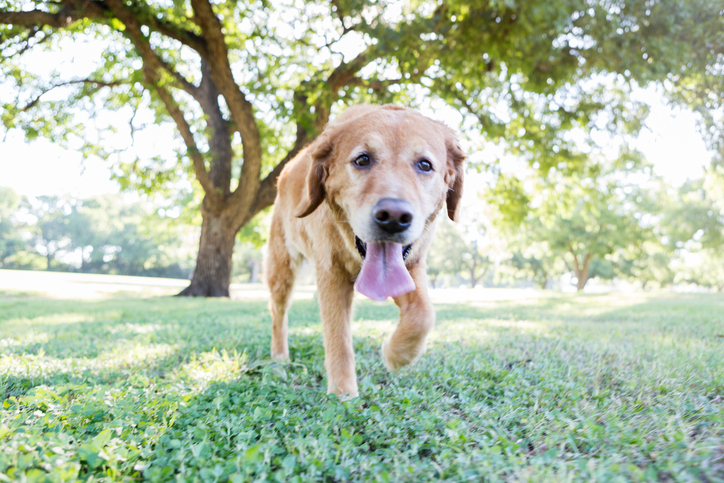 Unfortunately for your furry companion, panting is simply not as effective as sweating. Much like sweating, panting also utilizes evaporation. But unlike sweating, which cools the skin from the outside in, panting tries to accomplish this task from the inside out. The process is less effective than sweating, leaving your dog at risk for overheating even in temperatures only reaching the mid- to upper-80s. They're tougher than certain other parts of the body, but they're not immune to injury. The paws contain a large amount of nerve endings to help your dog better navigate rough terrain and to avoid injury. In the summer when pavement temperatures can reach 150 F, paws can suffer second degree burns just like any other body part exposed to heat extremes. Then What Can Paws Do? Your dog is a distant relative of the wolf, who evolved to live in cold conditions on rough terrains. 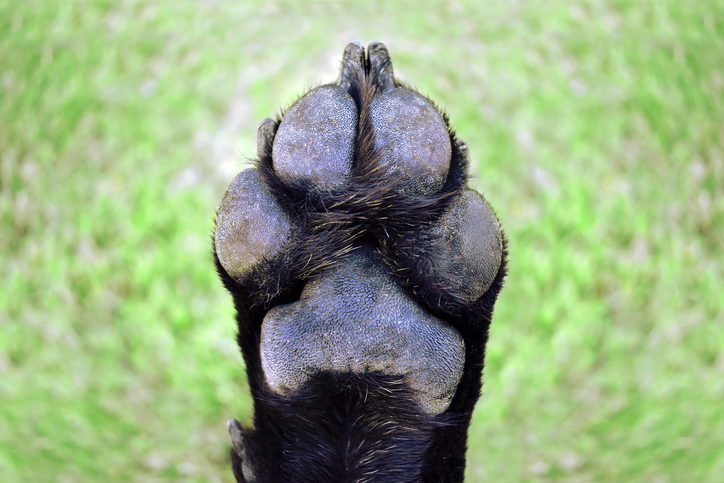 The evolution of the paw has ensured that the feet can absorb shock from running and jumping. This is due to a layer of fat, which also insulates the foot sort of like the blubber on a whale. That's why dogs don't need cold weather booties. A bootie, however, can prevent abrasions and blisters, both from heat and cold weather extremes. We've already discussed how your dog's pant doesn't equate to your sweat, making him more susceptible to heat exhaustion or heat stroke. But just how hot can a car get? Even on a relatively cool day, you'll notice a heatwave rolling out of your car as you open the door. That's because your car acts like a greenhouse, trapping temperatures inside. A cracked window will do nothing to alleviate this unless your area is experiencing hurricane-like winds. As your car sits and collects heat, the temperature will continue to rise based on time. For example, in 10 minutes the inside of your car will experience roughly a 20 degree F rise. As you approach an hour, this number could exceed 40 degrees or more. That means, in the time it takes you to run into the store or stop for a quick chat with a friend, your car's interior could become deadly. In the summertime, be it a relaxing 70 F or a scorching 100 F, it's never safe to leave your pet in the car - not with the windows cracked, not for only five minutes. You might hear your kids complaining about the heat, but it's more likely that in the heat of the moment, they'll overexert themselves before they stop playing. That's why it's important to use common sense, whether you're headed to the playground, the pool or elsewhere. But that doesn't mean your kid is immune to heat exertion. Just like an adult, a child's normal temperature is about 98 degrees, which means that summertime can put them at risk for overheating. When playing outside or traveling about with your child, exercise caution once temperatures climb into the 90s. Provide plenty of opportunities for rest, utilize shade and encourage water consumption. What's the exception? If your baby is nursing or still consuming formula exclusively, do not provide water. The water in breast milk and formulas is enough to satisfy daily fluid intake requirements, and adding additional fluids to the mix can lead to imbalances and interfere with baby's normal appetite. We hope you stay cool this summer. Leave us a comment below.